AQHI Inc. is an Asbestos Certified Contractor in West Hollywood CA Carrying Multiple Official Qualifications for your Protection. The above steps should be more than sufficient to protect against accidental fiber release during a remediation. 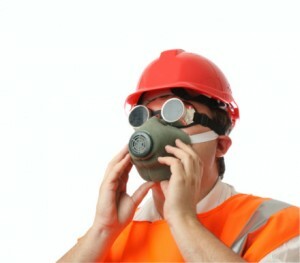 However, as a responsible asbestos certified contractor in West Hollywood CA, we are prepared for any eventuality. We carry comprehensive liability insurance with specific asbestos pollution clauses as well as workers comp insurance to protect our clients from footing the bill for any possible accidents, however unlikely. Since asbestos is designated a hazardous material in California, its transport and disposal is regulated. These activities must be completed by certified contractors. While other contractors may claim to have all the asbestos certifications needed for your project, they don’t always have transportation certifications. This exposes you to extra costs as you have to hire another company for transport. At AQHI Inc., we are an asbestos certified contractor in West Hollywood CA that truly does handle it all and we always include affordable transport and disposal in our initial bid for all remediation projects. It is very important to remember that although asbestos contamination is invisible, it is still very dangerous. You cannot underestimate it. Why risk your health with a DIY cleanup when you can simply call AQHI Inc.? We’ll act quickly to dispatch a team to contain and then eliminate the contamination on your property. Our asbestos removal office for Asbestos Certified Contractor in West Hollywood CA is open Monday through Friday between 8:00 AM and 5:00 PM and closed for lunch from noon to 1:00 PM. With advance notice, projects can be scheduled for weekends, early mornings and evenings.